I remember when the first Fujifilm X-series with interchangeable lenses was introduced, the X-Pro1; it came with three prime lenses and it was well received by the photography community and those prime lenses created quite a buzz. 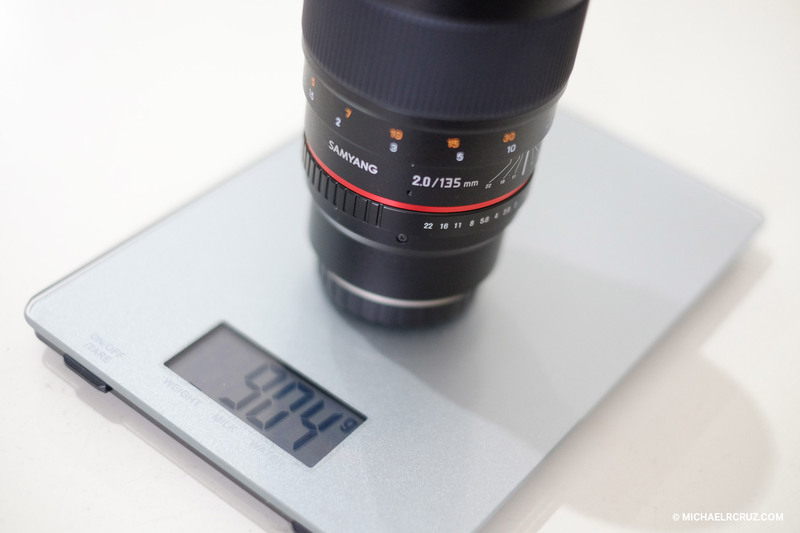 Prime lenses are known to be fast and sharp but so is the price, it’s so sharp it hurts! However, thanks to companies like Samyang, you won’t have to empty your savings or use your kid’s college fund to afford a fast prime. Samyang 135mm f2 is a nice addition to the Fujifilm lens line-up. This lens particularly good for portraits and head shots photography, but can also be used for any subjects really. At the moment, Fuji is offering a 56mm f1.2 (my favorite!) and 90mm f2 which are both excellent portrait lenses but they can be expensive; don’t get me wrong, they are cheaper than their DSLR lens equivalents but still hurts your bank account nonetheless. And to be honest, Fujifilm lenses are well made with exceptional image quality, but the same can be said with the Samyang 135mm f2 lens and boy, it is half the price. This lens is made for Fujifilm X-Series cameras so no need for adapters here. First thing I noticed when I held this lens, is that dang! This sammy is heavy! Granted that I don’t workout nor I do weight lifting regularly, I do carry cameras and lenses regularly (just establishing credibility here). 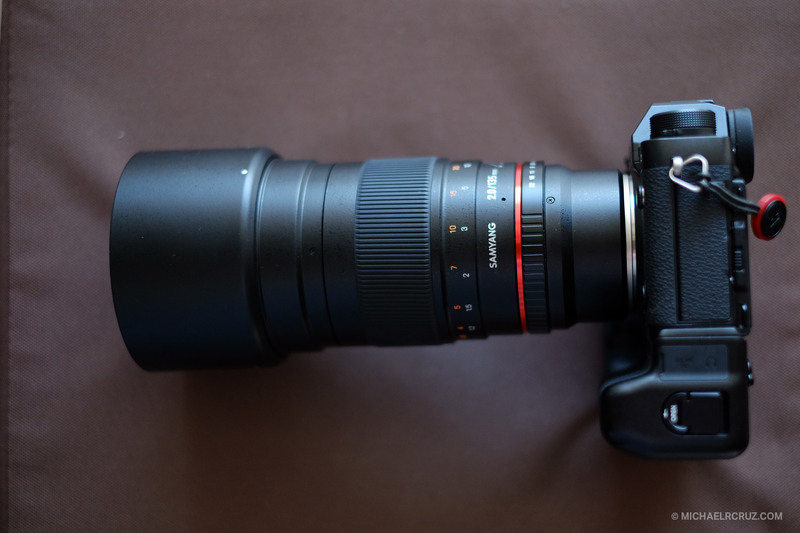 If you are going to use this lens with a small Fujifilm body like X-A and X-E series, you will be wishing you are going to the gym and have a strong wrist, because it will be front heavy, no kidding. With a Fujifilm X-T1 or X-T2 with battery grip, it kind of balanced it somehow. As an advice, get a small monopod and you won’t feel a thing after hours of shooting. Yes, you are welcome! 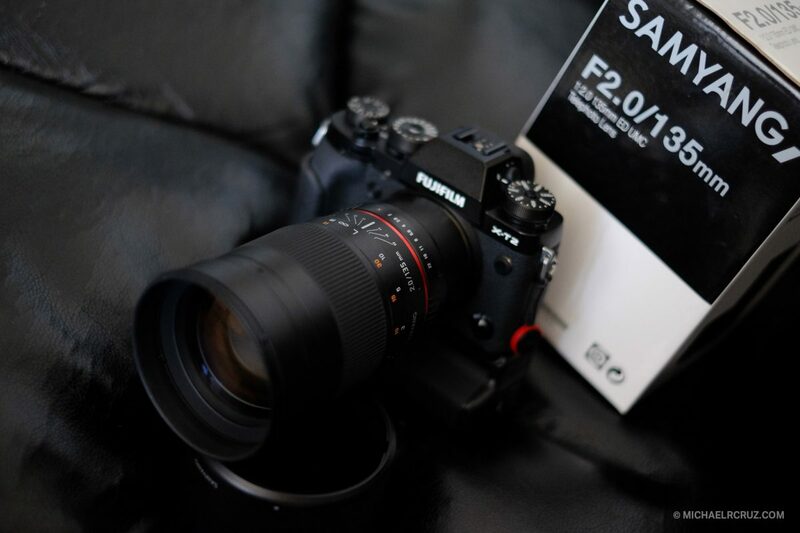 The lens is well built, the focusing ring and the aperture ring like any Samyang lens is perfect. I can’t fault it. You will be using the focusing ring quite a lot since this is a manual lens like all Samyang lenses and it is buttery smooth. Make sure you enable focus peaking and you will be focusing way better than the X-Pro1 with the version 1.00 firmware. For those who didn’t get that reference, consider yourself a late adopter of the X-series cameras. Gone are the days of focus hunts for Fuji, the X-T2 era can compete to a professional DSLR in terms of AF speed. Since this lens is 135mm which is around 200mm full-frame equivalent, using this hand held might be a challenge, especially if you are not a gym rat like me. A tripod or a monopod will be great but you can get sharp shots even without it, especially if you have plenty of light to work with. I may sound a bit exaggerating about the weight of the lens here but, at 200mm (full frame equivalent) without image stabilizer you will need a super steady hand or better yet and tripod/monopod. 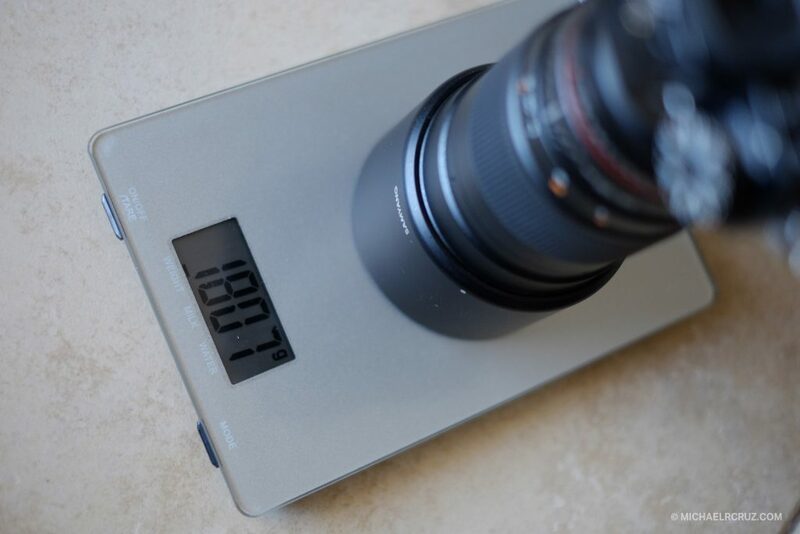 This is not just because of weight issue, the long focal length is involved in the equation too. As I mentioned, this is a manual focus lens, it can be a challenge but if you get it right, it is more rewarding and you will not regret the pain once you see the bokeh of this lens, it is fantastic, a lot better than some expensive prime lenses out there. As I said, if you have a tripod or monopod and combine it with the Fujifilm focus peaking, you are good to go. Another tip is that, you just tell the model not to move forward and back, because guess who forgot the frigging tripod? This guy. That’s why I insist you bring one with you, learn from my mistakes guys. What can I say, this is a bokeh machine. If you like shallow depth of field, this will not disappoint you. Shooting at f2, it is super sharp. I have never shot it with any other aperture but wide open. The flares are also well managed and no nasty color fringing too. No noticeable color cast on skin that I can see, depending on the lighting scenario it might go towards a more magenta one or greener tone but nothing too complex and can easily be corrected in post, so yeah, do not forget to shoot raw, especially in tricky lighting situation. This practice should be observed at all times anyway. This lens is a great value for money, although it is a cheaper solution the image quality is not compromised. Granted that it is not an auto focusing lens, it will reward you will sharp images with wonderful bokeh and compression you get at this focal length. As long as you get the focus right. Right now, Fujifilm isn’t offering a 135mm prime lens, yes, there is a 50-140mm f2.8 zoom lens but that is three time the price of the Samyang 135mm f2. Although, I have to admit, I prefer an AF lens over a manual focusing lens, but the price and performance of this lens is something to think about. This lens offers quality of a true prime lens, image quality is not compromised here. It will give your subject a good background separation with nice out of focus quality and no distortions. If you have no funds at the moment and you want to get high quality shots from a long fast prime, and manual focusing isn’t a problem, don’t look elsewhere and get this lens. 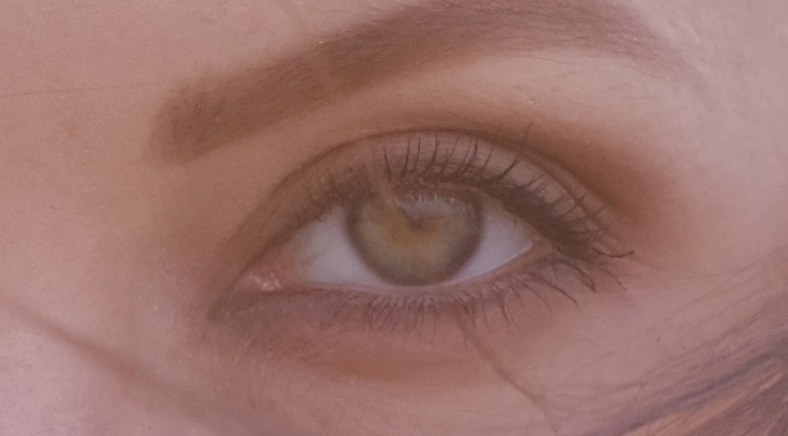 In case you are intreseted, you can get the lens here. sir have you tried shooting this on canon aps-c’s? Hi Norms, no I haven’t. But you need to get the Canon mount version of the lens. It would be helpful if your Canon have a focus peaking feature to focus easily.